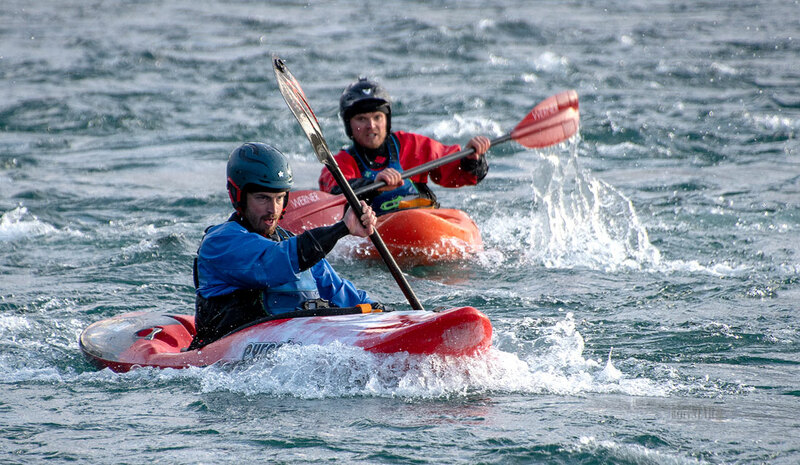 DOWNRIVER – Lawrence Brennan, front, and Malcolm Boothroyd battle it out in the downriver kayak race. 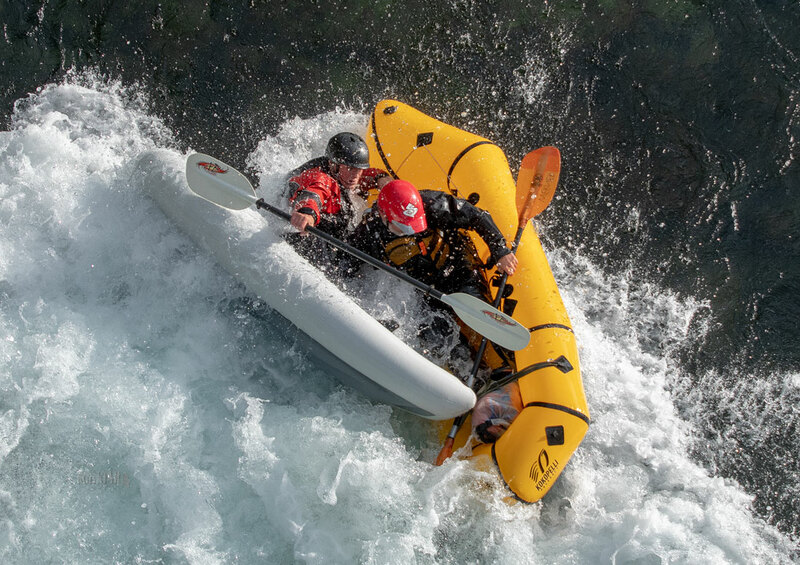 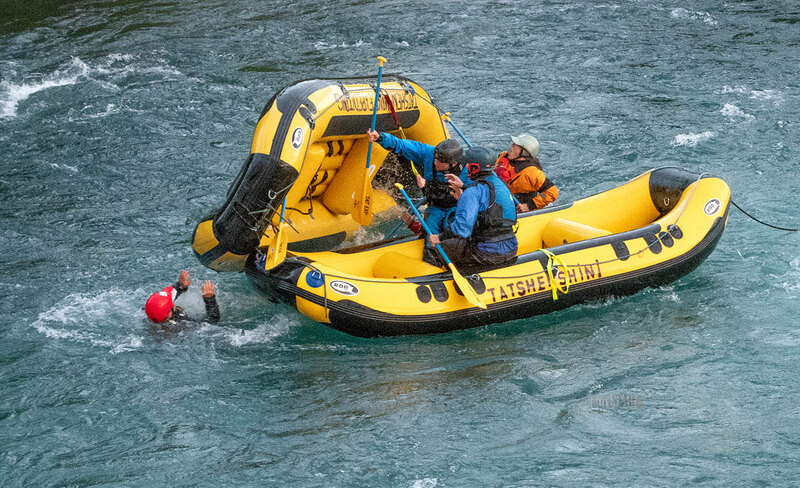 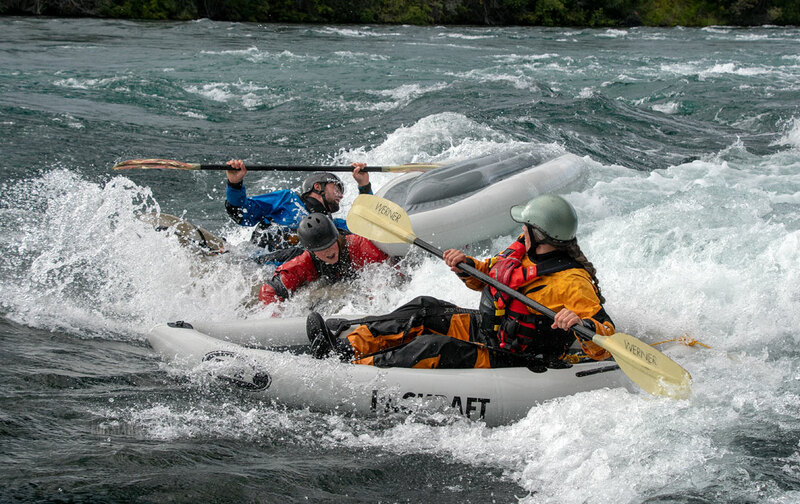 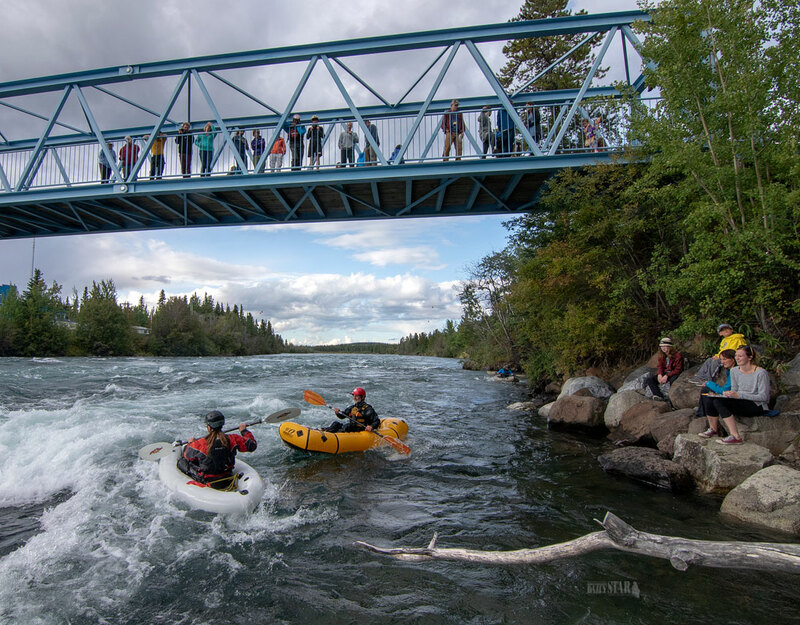 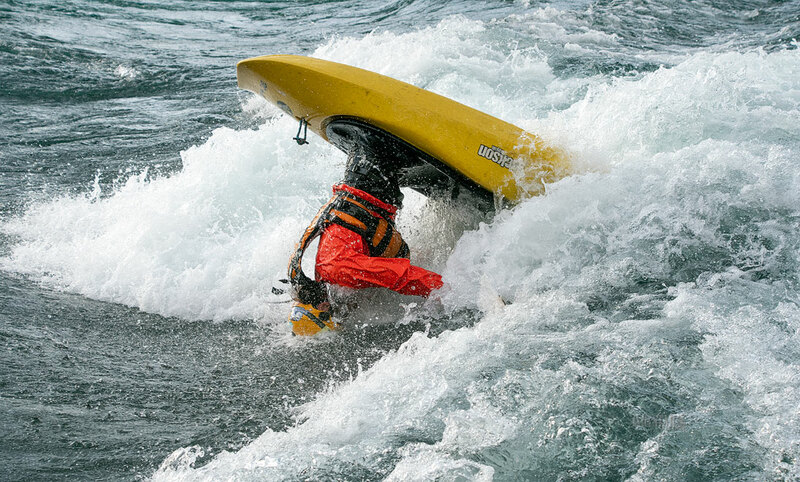 MANDATORY – Flipping the raft is a mandatory in downriver races. 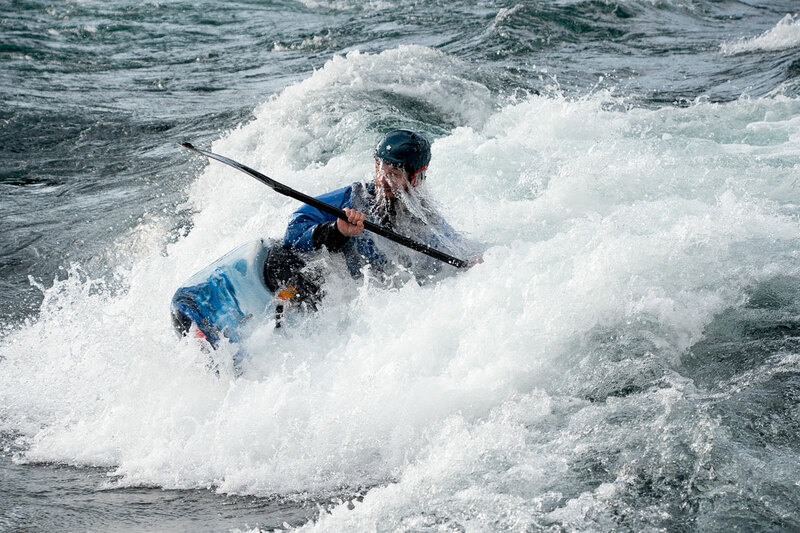 FREESTYLE – Pelly Vincent-Braun dances with the waves. 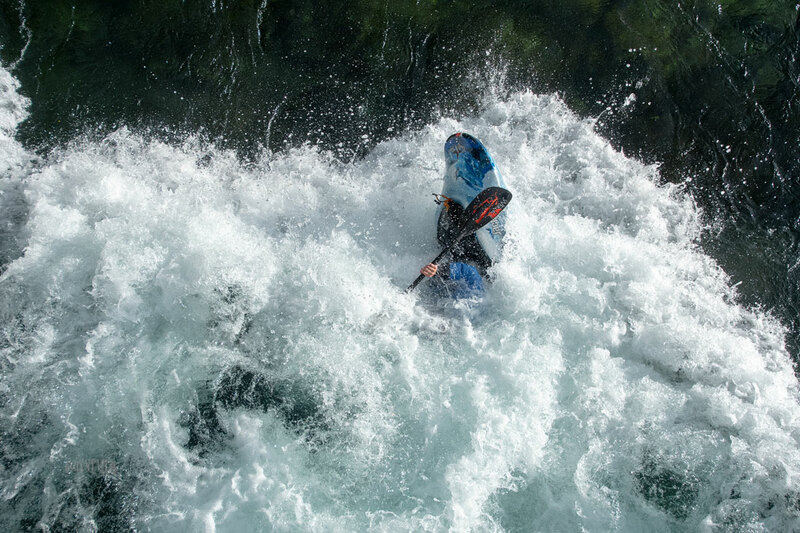 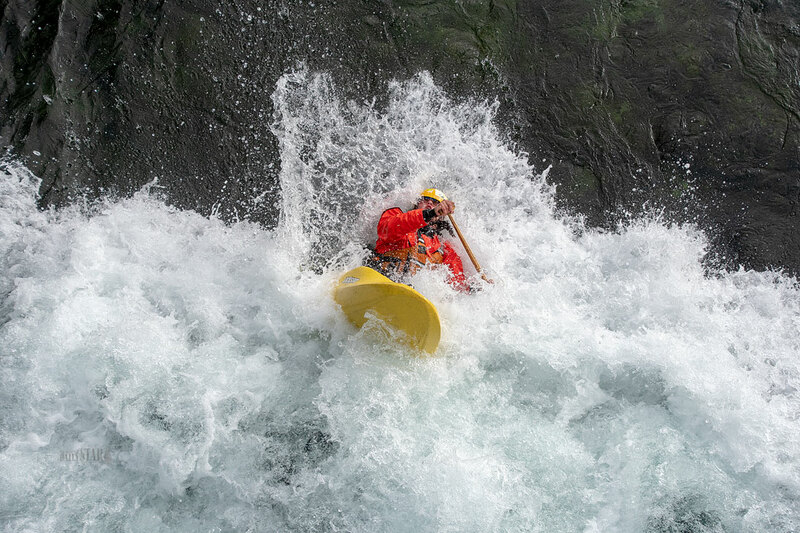 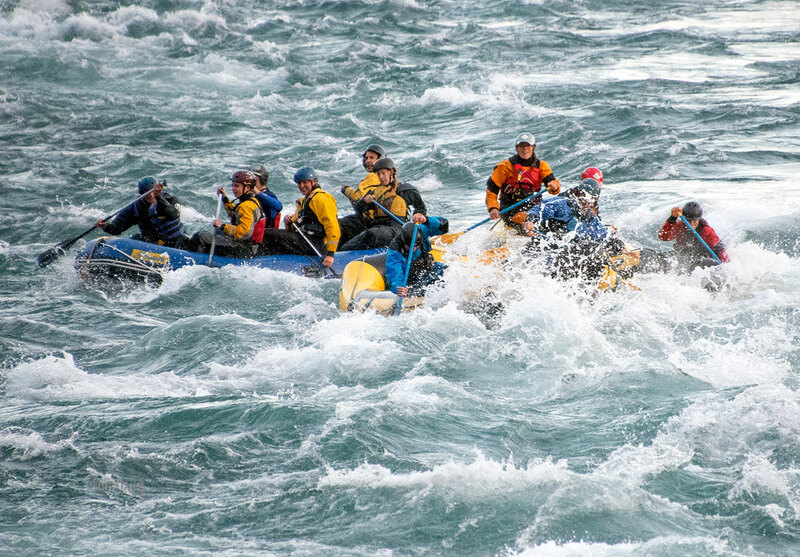 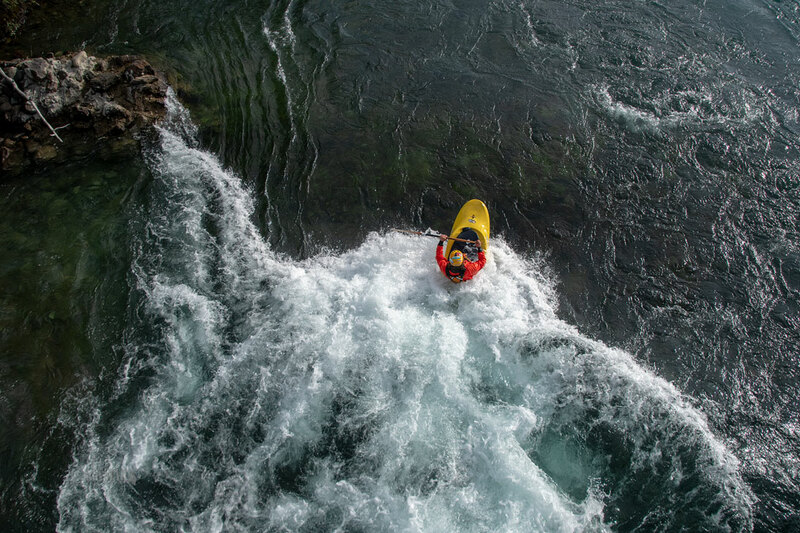 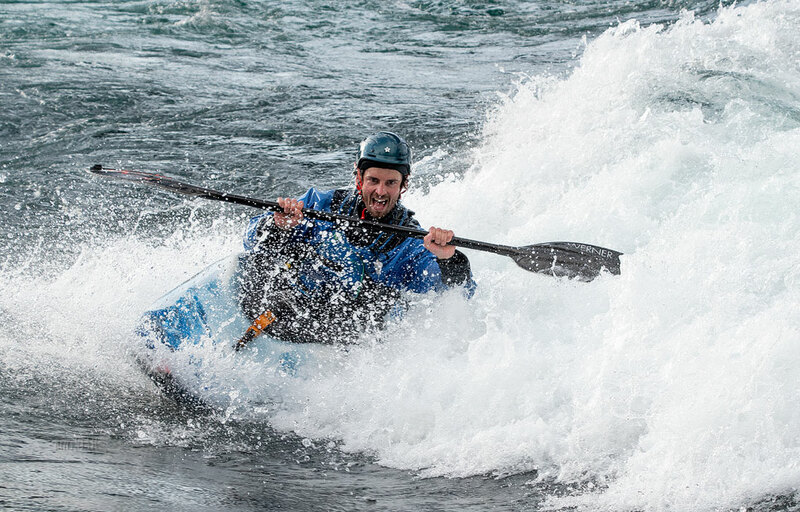 INTO THE WHITE – Lawrence Brennan happily attacks the whitewater. 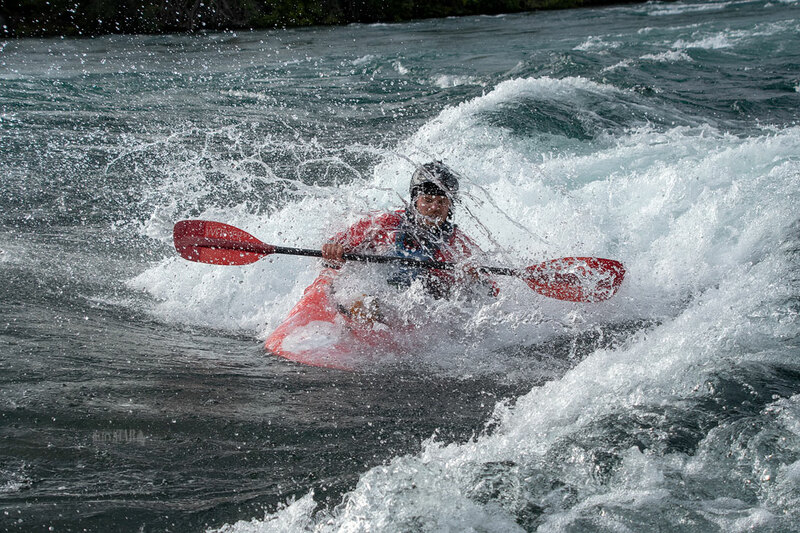 Several paddlers participated Wednesday evening in several different categories in the Whitewater Rodeo.